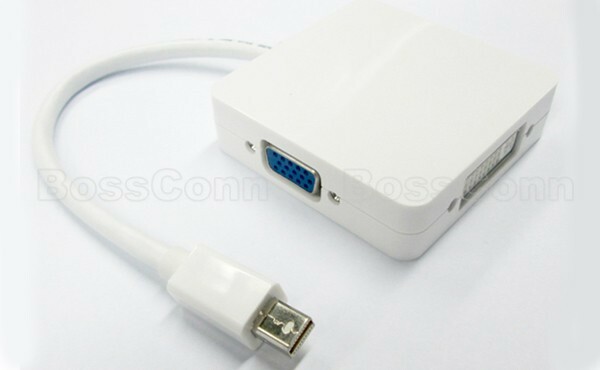 The adapter seamlessly connect MacBook Pro, or MacBook Air with a mini DisplayPort to high definition displays with VGA, HDMI, or DVI input port. Using this adapter, you need not buy 3 separate Mini DisplayPort adapters. It not only saves your money, but also solves the trouble of plug in and out. Because this is only one Mini DisplayPort in Mac Notebooks. Note: You can only plug a port among 3 output ports at one time. 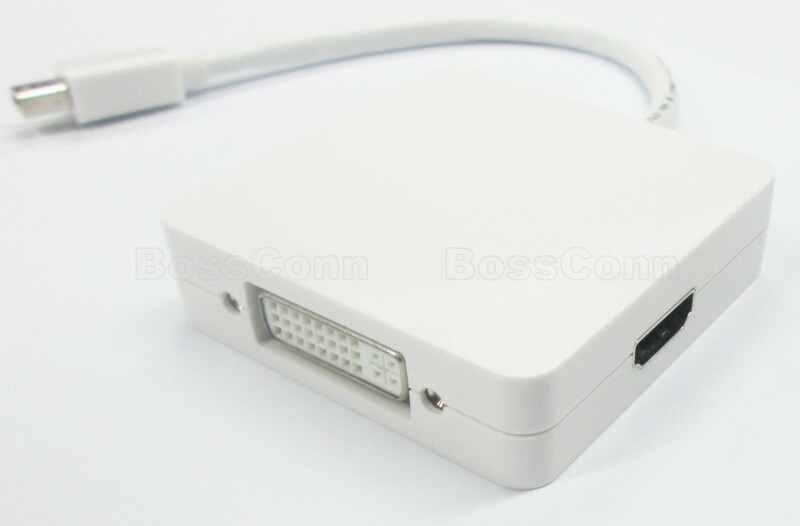 Support Mini DisplayPort 1.2 Dual-Mode input. The HDMI can support audio output for iMac (Late 2009) and MacBook Pro (Mid 2010). 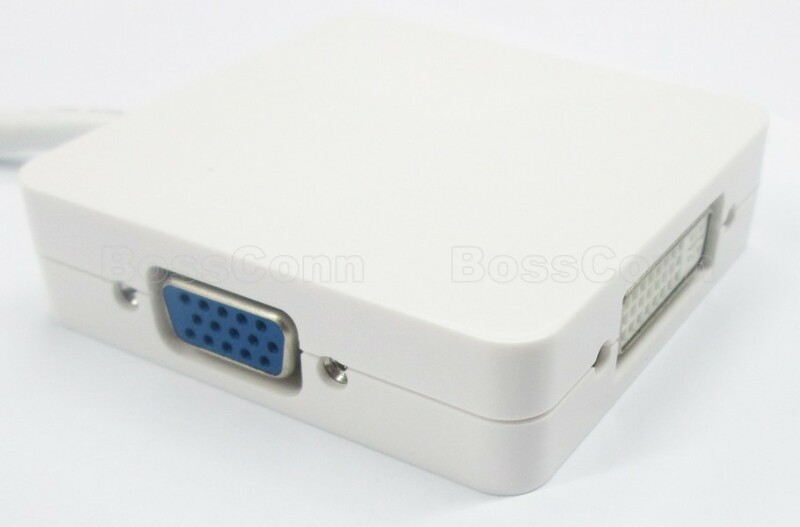 Support HDMI/DVI output with the resolution of 1920x1080p@60Hz. Support HDMI/DVI 12bit per channel (36bit all channel)deep color.